Here we go. 🙂 Due to a few technical problems and an overwhelming response from people who missed it the first time around, because of the time-zone confusion we have decided to replay “How to Make Magic in Photoshop” Free Webinar. This is 1pm on Sunday the 3rd in Sydney or Brisbane, Australia. • Photoshop tips and tricks, Photoshop techniques you can learn quickly to transform your images. 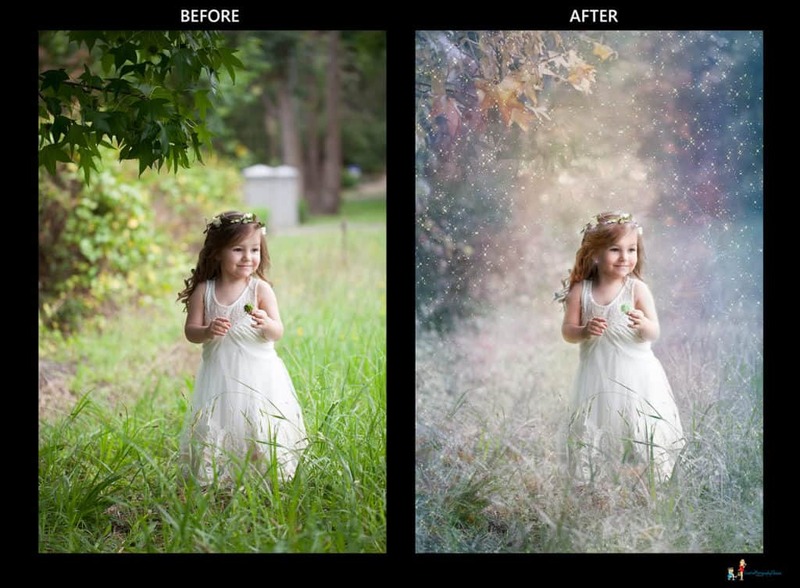 • Creating magical Light Photoshop Effects. • How to use Textures and Overlays in a few easy steps! • Create beautiful 3D painterly effects with ease. • If you are a person who is just itching to express yourself in magical, creative way, but who just doesn’t have time to spend months or even years on learning Photoshop. • If you are the person who wants to create magical memories of your kids whenever you want to or rather.. whenever your kids give you an opportunity to, without spending a lot of money on professional photographers. And with your kids – magic and changes happen EVERY DAY. • If you are the person who thinks I am not good enough, I can’t do – I WILL demonstrate to you, that you can and you WILL be able to start creating magic right after the webinar. It is a new webinar technology we are trying to concur, so I am a bit scared (as I am technologically challenged individual 🙂 ), but at the same time I am very excited as I know how much fun we are going to have and how much you will be able to learn. Please register below by clicking on the link to attend this webinar. Sydney, Australia – please note – daylight savings ends early Sunday morning. Places are limited so make sure you only register if you can attend the webinar. Otherwise and it won’t be fair to somebody else if you register, but don’t attend, and they just miss the spot. Good internet connection at your end is recommended. Please make sure you setup 10 minutes before the scheduled webinar starts to avoid disappointment. Webinar will start sharp on time. Make sure you block that time in your calendar now while it is fresh in your mind. You wouldn’t want to miss it. Please share this link with your friends so they too can benefit from this webinar. Am so so so excited and looking forward to see you there and share with you what I know!